In this post, we will look at ways that you can use to build an audience, increase your leads, and increase revenue through social media animation video. How to make videos for social media and increase your followers? Animated video can be a great tool to help increase your following. 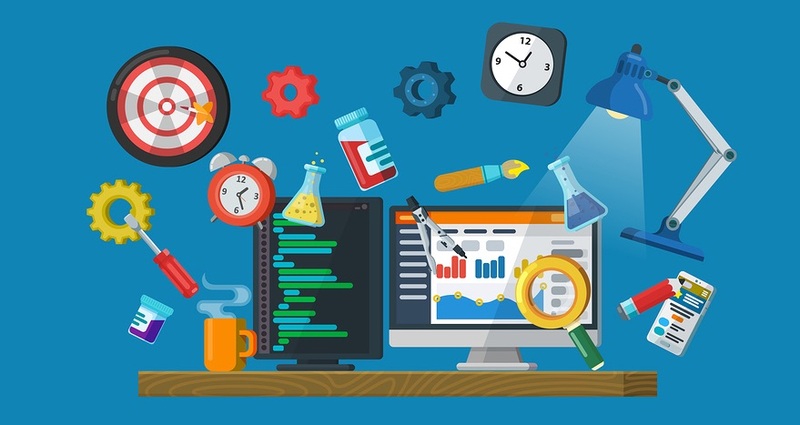 There are some ways of creating an effective animation marketing strategy. Below are some of the successful techniques of animation in marketing purposes. Let the animation speak for itself.– By using animated video,you don’t have to worry about “tooting your own horn” too much. You can let the animated video do it for you. 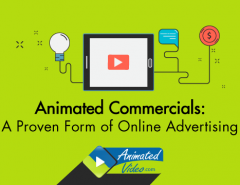 Using animated characters or other animations within your video,you can let the video do the talking and the sales pitch and stay in the background as the company CEO or owner. Capture client testimonials.– Do you have some people who are satisfied customers who are willing to say a few words on behalf of your brand? You can use animated video characters to stand for the actual customers and then ask the customer to do a voiceover of their testimonial to add to the production. Alternately, you could use voice actors or text to voice software. Just make sure the testimonial sounds like a natural person and is not too robotic. People watching will understand that the animation just symbolizes your actual customers and they will take the testimonial as a real testimonial. 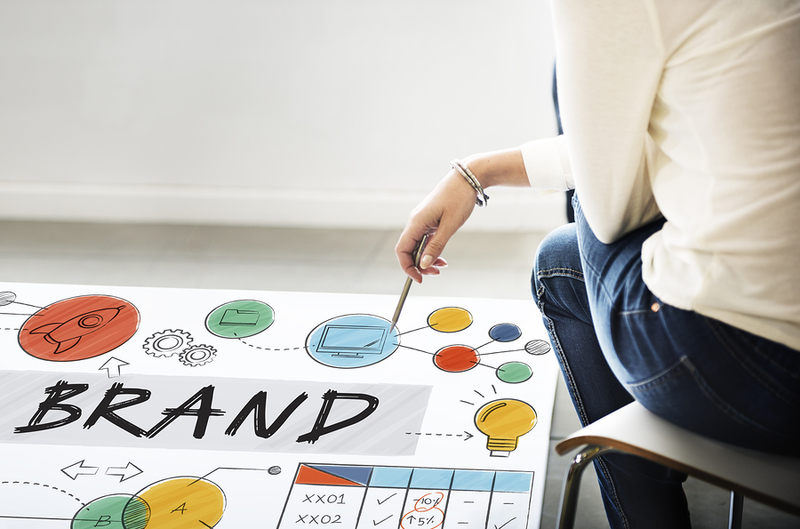 But you should make it as authentic as possible by adding the name of the real customer and their location or something like that to add to the credibility. Use whiteboard animation to explain a procedure.– You can use whiteboard animations to explain a process that requires a step-by-step procedure. Using the magic of whiteboard technology, you can use the “drawing hand” to sketch out the graphics and text that you need to explain the process. Once you get it done, share it on Facebook or your blog or main website to help increase your following. Use humor and wit.– Animations are naturally designed to use humor and wit. After all, the first cartoons were designed to entertain and amuse people.You can tap into this natural quality of animated video and make a funny skit that you can have your characters act out to increase your leads and conversions. As an explainer video– Do you have something you need to explain to your followers or do you want to use it to increase your regular viewers? Why not create an explainer video and then use it as part of your Facebook ads campaigns?Facebook allows you to post and promote videos and create video ads that will increase your leads and followers. You can adjust your spending to whatever your budget can afford. If you want to increase the views of your animation once you have it created, you can do this by creating a Twitter Video views campaign. With this new tool on Twitter, you can set up targeting to a specific audience (similar to Facebook) and chart the progress of your video views. It’s important to remember that tracking your metrics for your videos once you create them is just as important as creating your animated videos in the first place. Use tools such as Google Analytics to dig deeper into what is going on with your targeted traffic. Look for trends and return visitor count to see how your videos are stacking up with your intended audience. If you want to go further than that, you could pay for a premium service such as Kissmetrics to get even more direct help with your metrics. If you go to the link above, you’ll also find the technical specifications that are required to be able to put the video up on Twitter for video views. Do you have a blog? If not, you should get one. A blog is an excellent place to keep in constant contact with your followers and customers. 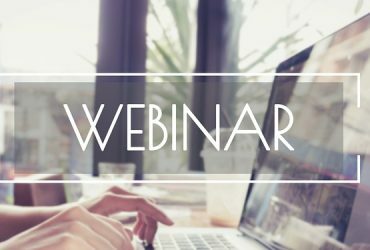 You can present new information about your business, introduce a new product line, and present anything you want to via your blog. Most blog platforms allow you to embed a video from YouTube. Once you have your animated video embedded on your blog, you can ask people to comment on your video on your blog or YouTube. By reading and encouraging comments on your videos, you will learn more about what your customers are interested in and keep in touch with them in a way that is less formal and more engaging. Put it in your website. Of course, the most obvious way that you can increase your following, leads, and conversions is to put your animated video smack in the middle of your main website or landing page. 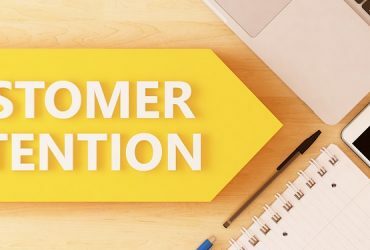 If you have an important message that you want all of your followers to know about, put it in the middle of the page at eye level so that they will see it as soon as they enter your page. If you have a regular series, this will help you to increase your following even more. People like to know that you are producing regular content. Having a regular video that you produce weekly or monthly will serve to increase your following because people will return to see what you will do next. You could even create a series that is focused on the same topic such as different ways to fix a car or whatever is related to your topic or niche area. Giving people one explainer video on something they are interested in is helpful. But if you make it a series, it will be even better. Have you ever thought about creating a poll about your video? Why not create an original poll where your followers can vote on how they liked the video. This will give you valuable input as to how your video or video series is going over, and it will help you to know how to improve upon your content in the future. 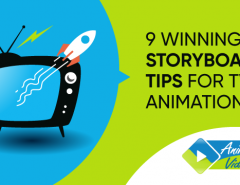 To get the maximum result of your animations, you can mix it up with other media, too. Try putting a link to a company podcast within the description of your animated video or post links to both within your blog. Don’t forget to share via social media posts to increase engagement and put a form on your page to increase subscriptions. 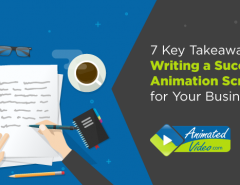 Are you ready to maximize your animated video content to increase your leads, views, and followers? We can help with that. You need to start by having a great animated video that people will love. We’ve been creating animated videos for businesses for several years that gets them noticed, and increases leads. Check out our stunning portfolio here and then contact us for a free quote. 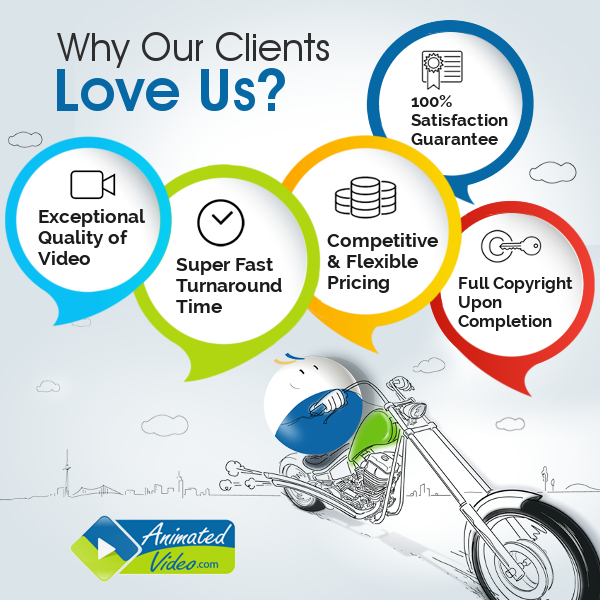 We’ll be happy to talk to you about how to use the natural entertaining qualities of a professional animated video to increase your leads and following.